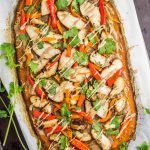 Gluten free and paleo Thai chicken sweet potato flatbread has a simple, baked sweet potato based, creamy almond butter dressing, and tons of fresh ingredients to top. A unique and creative take on traditional flatbread! Pampered and pretty isn’t really my thing. Seems like a huge taboo to say that out loud, right? And as much as I would love to have that kind of life, HELLO reality – my days consist of changing diapers, messy meals, yoga pants, dry shampoo, and fun ‘outings’ like Target runs. I admire those mommas that have their nails perfectly painted, hair always down, sporting strappy wedges, and actually smelling good. I don’t know how you do it, but you make me dang jealous of how put together you are. So bravo. When I finally forced myself to call a salon to schedule a hair appointment, it felt like an out of body experience. No shame when I say my usual haircut means swinging by a cheap walk-in chain and getting my ends trimmed for $20. But it was time to seriously change it up – same color and cut (long and brown) for the past decade was kind of making me feel lame. Chicken and bread probably feel the same way – bland, blah, oh so typical. So if momma gets a makeover, so does momma’s food. It’s no secret I don’t eat much bread, and no surprise that chicken is a staple in my diet. 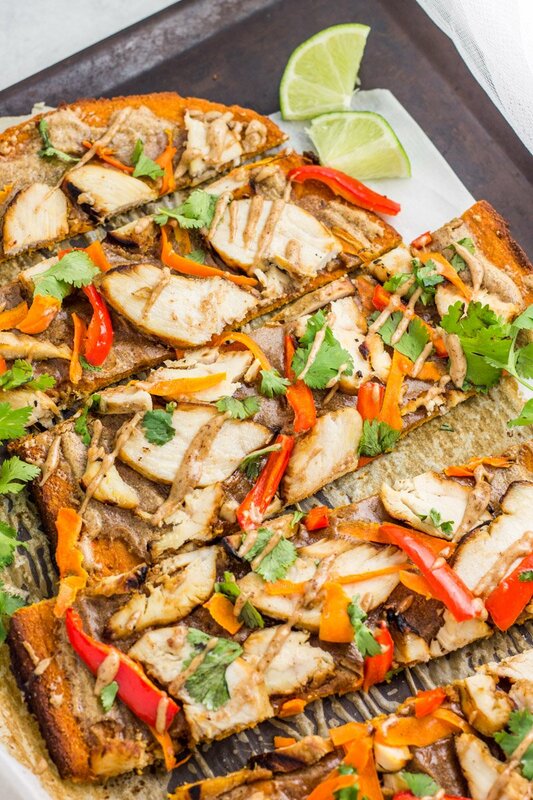 So making a paleo version of flatbread, bursting with flavors from creamy Asian-inspired almond butter sauce, juicy chicken, fresh cilantro, and red peppers? 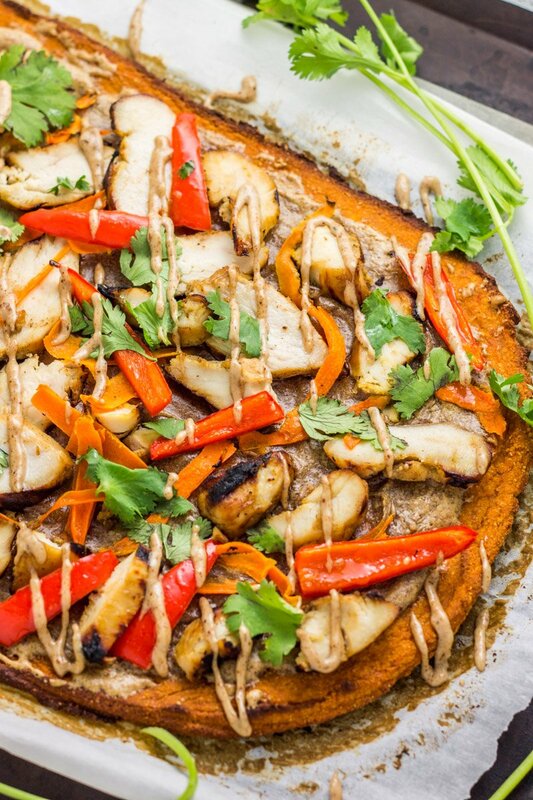 Hell yeah for paleo Thai chicken sweet potato flatbread!! The handful of times I’ve actually colored my hair, I always went darker. It was this conviction I created in my brain that dark eyes and eyebrows could not pull off lighter hair. Much like the foodie conviction that a paleo lifestyle couldn’t have flatbread. 1. Eyebrows must match hair. 2. Bread = axis of evil. Oh how wrong I was! The new me went light, and I like it! 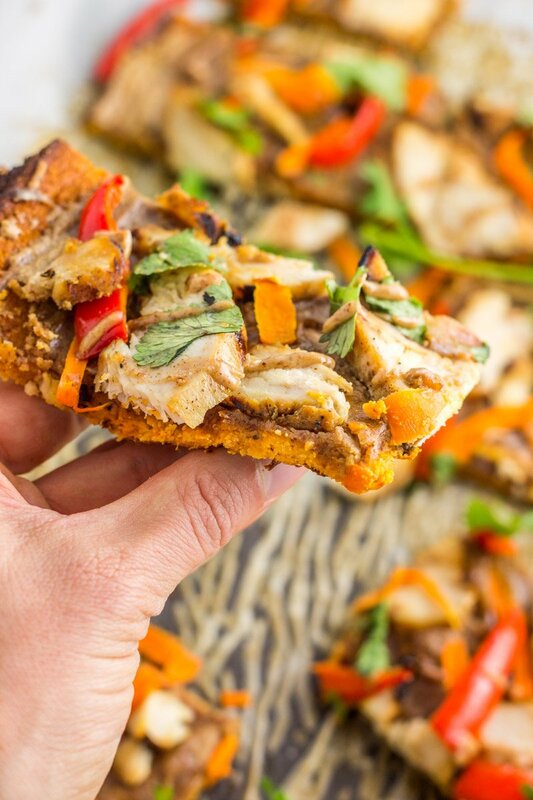 And in celebration of my lighter, caramel-colored locks, I’m introducing a paleo version of flatbread – Thai chicken sweet potato flatbread. And it’s seriously bomb dot com with that creamy almond butter sauce, topped with sliced chicken, cilantro, thinly grated carrots, and red peppers. Sooooo much flavor in every bite, I really didn’t want it to end (much like the ‘me’ time at a real salon). A few steps and you’re on your way to making and exceptional and healthy appetizer, lunch, or dinner. Plus it’s all sorts of fun to look at – so many toppings! To start, combine the ingredients to make the flatbread. Roast or microwave one large sweet potato until the inside is soft, then scoop out the mashed sweet potato and discard the skin. Add egg, almond flour, coconut flour, ground ginger, cumin, and salt to the sweet potato and mix well. Spread the ‘dough’ thinly on a parchment-lined baking sheet and bake at 400 degrees for 35 minutes, until center is set. Reduce oven temperature to 375. As the sweet potato flatbread is baking, combine the almond butter, water, rice vinegar, and lime juice – mix until creamy. 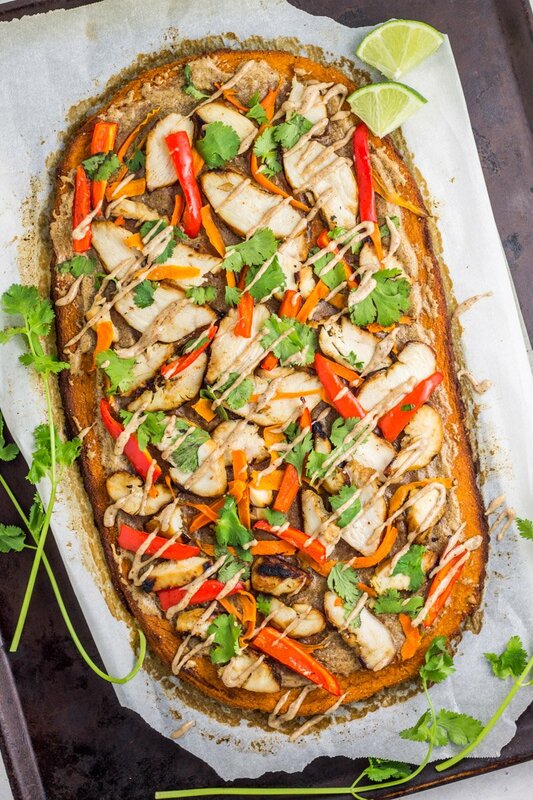 Spread the almond butter dressing over the top of the slightly cooled sweet potato bread, then add the sliced chicken, grated carrot, fresh cilantro leaves, and sliced red pepper. Use a basting or pastry brush to lightly coat all the toppings with a little olive oil, then place back into the oven to bake for 10 minutes. Make the sweet potato flatbread beforehand. After baking, let cool then refrigerate until ready to assemble the entire recipe. Pre-grate the carrots, slice the peppers, and combine the ingredients for the almond butter dressing beforehand and refrigerate until ready to bake. *Note – if making the almond butter dressing ahead, allow it to warm up to room temp before spreading on the flatbread, as it will be very thick once chilled. 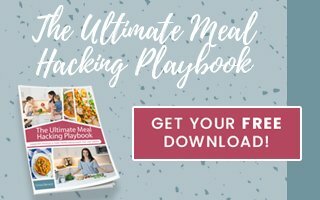 Love ‘new’ ideas to keep you rockin’ the paleo lifestyle? 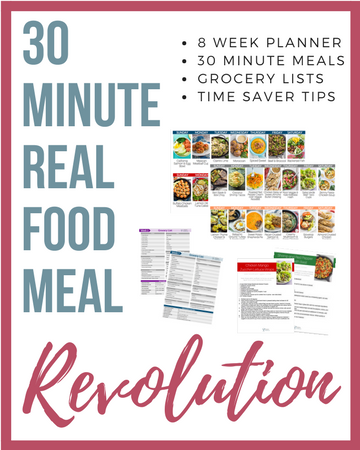 Try this paleo plantain pizza crust, paleo glazed banana bread donut holes, or Whole30 baked buffalo chicken meatballs. Of course! Sweet potato toast is the bomb too! You lay down so much for your sweet boys and your husband, and I hope you get some time to refresh and fill up that cup. <3 And that is so cool that you were able to develop this beautiful flatbread recipe. It holds together so well, and the color is stunning! I certainly have days when I can hit the gym by myself then run errands. It’s not exciting but it gives me a chance to have some ‘me’ time. You’re the best Em! You could certainly do that! I have a plantain pizza crust recipe on this site you could sub for instead! Do you put cooked chicken on top of the pizza or uncooked chicken and let it cook within the 10 minutes? Thank you! Definitely cooked chicken. You could even make it a day or two beforehand! Do you think you could use a chia seed egg replacement for this?? It looks so amazing! Yes! I believe that would work too! What can I sub for the rice vinegar to make it whole 30 compliant? I just started round 2 and am looking for some new inspiration! I would say 2-4, depending on how you serve it (as an appetizer vs a full meal). I am allergic to almonds, could I just use coconut flour? I haven’t experimented with different floors in this recipe but I think you could certainly try! My husband ate my. Red pepper. For this recipe… 🙁 can i use a green pepper instead? What about adding red onion?